A Plastic Tire Swing for Kids Provides Endless Fun! There is nothing quite like a tire swing! Kids love to hop on and spin through the air. Playkids has a wide selection of tire swings for sale along with all the tire swing hardware you need for a safe and fun ride: swivel hooks, different types of tires, chains and more! Fun & Safe Tire Swings for Sale! We also offer a plastic tire swing that is safer and cleaner than a traditional swing made from an old car tire. You can choose from many different colors of tire swings to accent your backyard play area. Get a tire swing kit to add some extra excitement to your playground. We are proud to sell these thrilling accessories that separate your swing set from the rest! The advantage to these Plastic Tire Swings as oppose to regular old Car tires is that they do not give of that black rust like car tires do and they make playing safe and clean. Low-maintenance BUT high-fun comes with tire swings. With their tough rotomolded design and molded-in eyes with bushings. 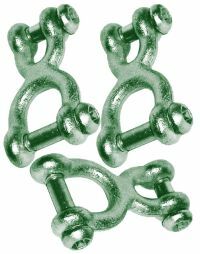 Requires the use of SH-42 clevis or chain hooks which are also available on our site. Some days it seems like no matter what you say, your kids just don’t listen to you. At around age seven, kids seem to have the magic ability to tune you out completely when they’re outside having fun on the tire swing and you’re calling them in for dinner. After a few attempts, you find yourself shouting in frustration, something you always said you’d never do. There are a few steps you can take to make sure your kids listen and respond without resorting to shouting that are much more effective than screaming. Try these the next time the kids are having fun in the backyard and they’ll hop off the tire swing in no time. 1. Speak clearly and use as few words as possible. Most kids younger than eight can only process ten words or less easily, so use short sentences. Tell them, “Please come in for dinner now.” Once they come in you can tell them to wash their hands or set the table. 2. Don’t ask or negotiate - this sets you up for failure. Saying, “Aren’t you hungry? Don’t you want to come in and eat?” gives children an easy way to respond with a negative answer. Clear directions work much better. Tell the kids, “Play time is over. Please come in for dinner now.” This doesn’t leave room for negotiation. If you use these four tips, you’ll soon have a seven year old who will listen to you and respond quickly every time.